When water finds its way into parts of your home or business, it is likely that mold and mildew may also start to grow, unless you reach out for the help from the technicians at 911 Restoration of Central Mississippi. To provide you with the most thorough, water damage and mold removal services, the repair techs offer property owners with free visual inspections that include an estimate. The experts treat all water disasters with an urgency that other flood cleanup companies do not consider, which is why the technicians are available 24/7/365 to get you the flood repair services you need. It is crucial that repair techs get to your property quickly, which is why they guarantee to arrive within 45 minutes to begin same-day water extraction procedures. They will administer leak detection services and make all the necessary repairs, ensuring that your property looks like it was never impacted by water damage in the first place. When you need water and mold removal in Jackson, call the licensed, bonded and insured, water damage restoration company that will give you the peace of mind you deserve today! 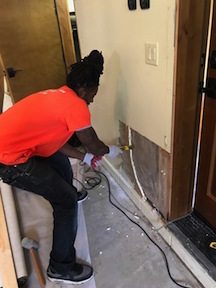 The reason the crew members at 911 Restoration of Central Mississippi are trained in both mold and flood cleanup services is that where there is water, there is usually mold, as well. As soon as the technicians get on the premises, property owners can rest assured that they will take over everything from that moment on, allowing you to recover while they begin cleaning flood damage. Our professionals have many years of experience in the restoration industry, so they know exactly where to look for signs of mold growth, allowing us to eradicate every issue surrounding the water damage properly. Along with drying and sanitizing the area, the technicians will also implement preventative measures to help you avoid future water and mold issues. 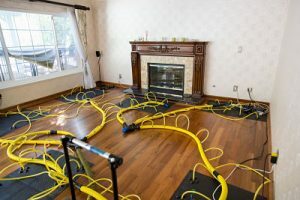 By identifying the trouble zones in your property and implementing maintenance efforts, you can stop leaks and floods from occurring. 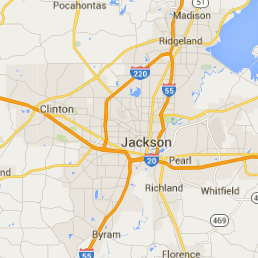 For top-of-the-line, flood cleanup in Jackson, call 911 Restoration of Central Mississippi to receive help from a restoration company that cares and understands your needs. Whether we are called to fix a water leak in a ceiling or implement flooding repair service, customers can be confident that the technicians will respond immediately, no matter what time your emergency may occur. It’s understandable that this can be a very overwhelming time. However, when the crew members arrive on the scene, they will do whatever it takes to keep you calm and reassure you that everything is going to be okay. By promptly beginning mold removal and flood cleanup services, the technicians aim to show their customers that they are dedicated to making their property a safe one for you and your family. Along with commercial and residential water damage repairs, the staff members will also assist you in filing your insurance claim. Even though mold removal is not typically covered in most insurance policies, the cost to mitigate a water intrusion usually is, and we want to ensure you get the financial aid you are entitled to receive. 911 Restoration of Central Mississippi want to make it easy for property owners in Madison to receive water and mold removal services. So, call us right away, and the technicians will show you how they can turn a water disaster into a Fresh Start.